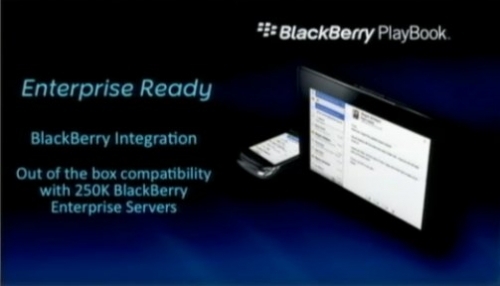 RIM CEO Announces BlackBerry PlayBook tablet device | BlackBerry Blast! Well it looks like the world was wrong about RIM's announcement at DevCon today. RIM Co-CEO Mike Lazaridis just announced the BlackBerry Playbook, RIM's tablet device. The BB PlayBook features 1GHz dual core processing, enterprise support, and multitasking. It features a 7-inch hi-res display, is 9.7 mm thick and supports Flash 10.1.